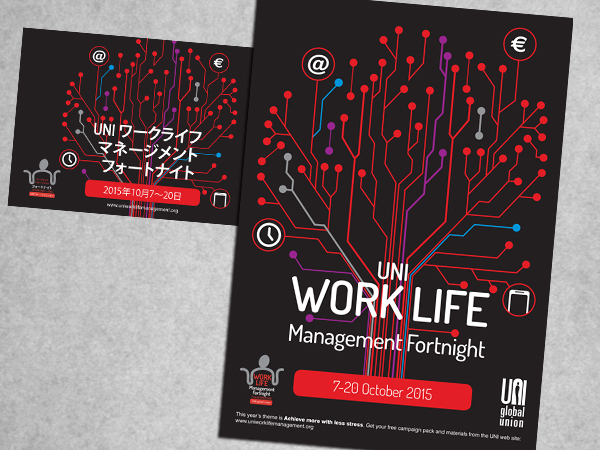 A series of materials for UNI Global Union’s Work-Life Management Fortnight. Created this striking image to illustrate the theme of digitalisation of the modern labour market. I made versions of the materials in eight different languages, including Japanese and Arabic.